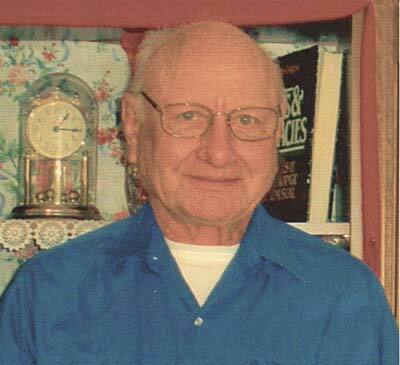 Edward Gerald Everett 86, passed away on September 24, 2015 in Amarillo, Texas. Edward was born May 3, 1929, to Gerald and Elizabeth Everett, of Dalhart, Texas. He grew up on the small farms and ranches, his father leased, going to one and two room schools in the Panhandle area. He graduated from Clayton New Mexico High School in 1947. In early 1948, he enlisted in the U.S. Navy, and after recruit training, was stationed aboard a ship in Seattle, Washington for the next four years. At the outbreak of the Korean War, he realized that if he took his discharge, the Army would draft him and send him to Korea, so he re-enlisted. He was transferred to San Diego, California, to commission a ship there. While there, he met and married Vivian Armintrout on March 29, 1952. After commissioning, the ship was transferred to Norfolk, Virginia, and the Atlantic Fleet. A daughter, Karen Marie was born on February 24, 1953, a son Keith Alan on September 8, 1955, and a son Richard Duane on March 9, 1957. In mid-1957, he was transferred to USS Skagit stationed in San Diego. After several Western Pacific tours, he was assigned as Officer-in-Charge of a large landing craft, stationed in Okinawa. Upon return to the states, it was determined that most of these crafts would be sent to Viet Nam, to carry troops, equipment, and supplies up the rivers to outlying posts. This bothered Ed very much, as the casualty rate was very high and he could see no hope for his life beyond death. After a series of gospel meetings, he gave his life to Christ, and finally had a peace he had never known before. Instead of Viet Nam, he was transferred to the Naval Recruit Training Command, to train new recruits. During those three years, Ed was advanced to the enlisted senior ranks. He was transferred to a large ship which made several long trips to the Viet Nam area, in support of the war effort. Ed retired in November 1969, and for the next several years worked for different school systems in San Diego. He went to night school and earned his Business Administration degree. In 1981, he was offered a position as Director of Maintenance for the International schools of Daharan, Saudi Arabia. The next few years were spent remodeling, repairing, and overhauling a very run-down system. Each spring, they were allowed a home visit of four weeks. On the way, they would visit Bangkok, Thailand, and Manila, Philippines, before a short time with family. These visits and the fellowship of men working in Saudi, made these some of the most special days, months, and years in their lives. In 1986, Vivian became very ill, and required eight major surgeries in the next two years. This put a severe strain on both their personal and working life. So in 1989, they resigned their contract and returned to San Diego. In 1990, they settled in Prescott Valley, AZ, where they enjoyed gardening, remodeling the house, and traveling. Each year, they tried to travel to different countries of Asia, spending weeks and often months in each one. They also enjoyed visits to Ireland, England, Holland, and South Africa, as well as Canada, Alaska, and the western U.S.. In late 2001, their son Richard returned home with late stages of liver and pancreatic cancer. They cared for him until his death in December 2001. His ashes were buried on the family ranch in northeaster New Mexico, next to Ed’s parents. On a visit to eastern Oklahoma, in 2009, Vivian died suddenly of a heart attack. Her ashes were later buried next to our son’s. Ed is survived by a daughter Karen (Dave), grandson Eric, granddaughter Melissa, five great-grandchildren. A son Keith (Linda), granddaughter Callie, granddaughter Heather Everett of Albany, Oregon, and a adopted daughter Lana Vargas of Bowie, Maryland. Plus a sister Dawn MacTaggart, of Amarillo, Texas, a sister Marilynn McAlister, of Austin, Texas, a brother Richard (Walli) of Johnson, Kansas, and a brother David (Pam), of Paris, Tennessee. Plus numerous friends of life precious faith scattered around the world.